Shipping and delivery info: All sizes ship Freight, unassembled. The work table top on this baker’s cart is 1.75” thick hard rock maple. 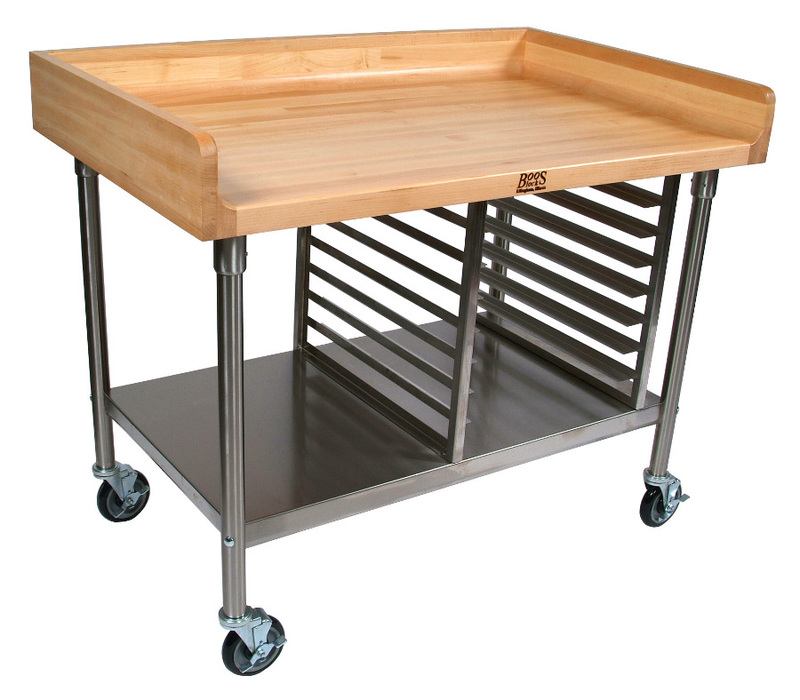 Regardless of the size of cart you choose, you’ll find the table top provides ample space for baking preparation. Its smooth surface is ideal for kneading and rolling dough, for instance. The top is bordered on the back and sides by a 4” high coved maple riser that helps maintain sanitary conditions: because the riser is coved, no 90-degree corners are present. It also helps prevent spillage that would otherwise result in material loss and waste and added clean-up time. The base of the cart is constructed of rust-resistant, type 300 stainless steel with a #3 polish and satin finish. Its legs are made of 1-5/8 inch, 16-gauge tubing. Each leg attaches to the underside of the wood top by way of two locking set screws. The cart’s lower shelf is made of 18-gauge stainless steel that is fixed in place, 12 inches off the floor. The built-in stainless steel bun pan rack holds eight 18" x 26" pans, which easily slide on the rack’s rails. The cart is supported on a set of sturdy, 5-inch-diameter heavy-duty casters, making the entire cart easy to maneuver. 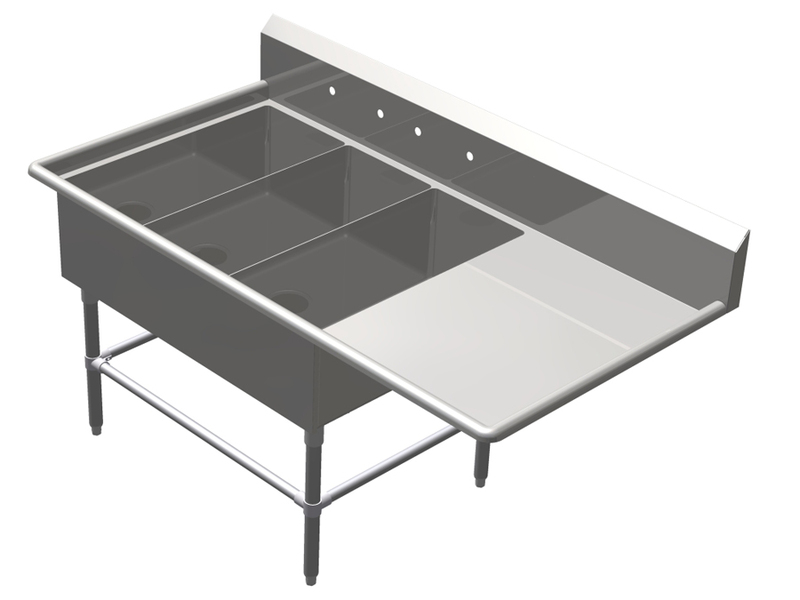 Small kitchens and shops should be able to get by with the smallest size: 30”W (deep) x 48”L. But four larger versions are available, up to 36”W (deep) x 60”. 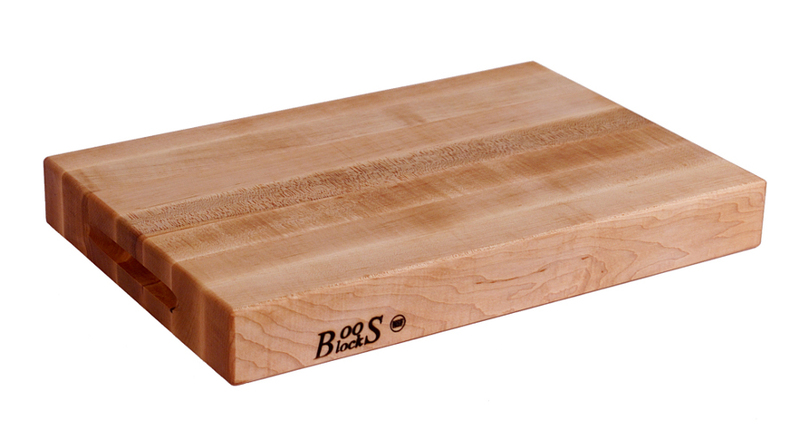 Regardless of size, the butcher block work surface is 36 inches off the floor – an ideal height for baking chores. Clear, Varnique finish seals and protects the wood, but it should not be cut upon. Varnique is a proprietary, varnish-like finish developed by Boos & Co. – makers of these sturdy but stylish carts. The Natural Oil finish is equally safe for food preparation tasks. An oil finish will however, require re-oiling at regular intervals.